Bollywood Super Star Aamir Khan and his wife Kiran Rao have been blessed with a baby boy. The new-born was born through In Vitro Fertilisation (IVF) to a surrogate mother on December 1 at a private clinic in Mumbai. Due to some medical complications, Aamir Khan and Kiran were advised to go for surrogacy. "We are absolutely delighted. This baby is very dear to us as we've got him after a lot of difficulty. We are so happy and would like to thank all our well wishers." , said the couple. Aamir Khan married Kiran Rao in December 2005. He was earlier married to Reena Dutta and has two children from her. 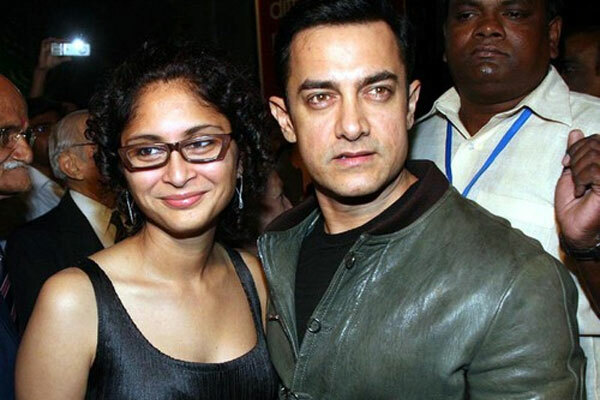 After 15 years of marriage, Aamir Khan filed for a divorce from Reena Dutta in Dec 2002. The children Junaid and Ira stay with their mother. 0 Response to "Aamir Khan blessed with Baby Boy"